Once summer rolls around, we know it’s time to trade our dark color palettes in for something with a bit more punch. 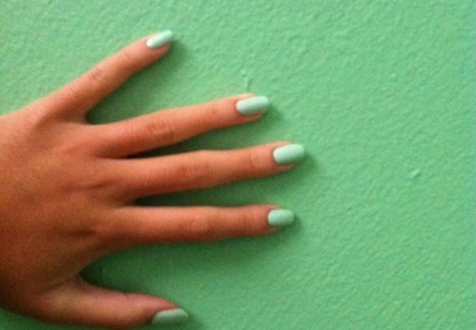 While mint green is the epitome of spring, sea foam green is dubbed as the “it” summer hue. There’s a thin line between mint green and sea foam. Sea foam green is brighter, bolder, and let’s face it: sea foam green will instantly liven up all of your summery outfits. There are so many different colors that complement sea foam green, and here are just a few. Whether you paint your nails with a pretty sea foam lacquer, accessorize with a sea foam clutch or wear a pretty fit and flare sea foam dress, you won’t run out of ways to include sea foam into your daily look. So, as you can see, sea foam isn’t going anywhere for a while. Here’s some inspiration to get you started! Let’s face it: when it comes to upcoming trends, J.Crew always gets it right. Back in September, when spring 2012 collections made its first debut, this preppy retailer knew that sea foam green would be just as major as Tangerine Tango. Color-of-the-season prediction aside, J.Crew also receives props for their impeccable styling skills. The model photographed above wears an effortless sea foam green top with a fierce pair of animal print shorts. As if sea foam green wasn’t eye-catching enough when worn alone, throw in a bright shade of yellow and coral pink, and see what happens! If you love color, then don’t be shy – there’s nothing wrong with wearing more than one vibrant hue at a time! 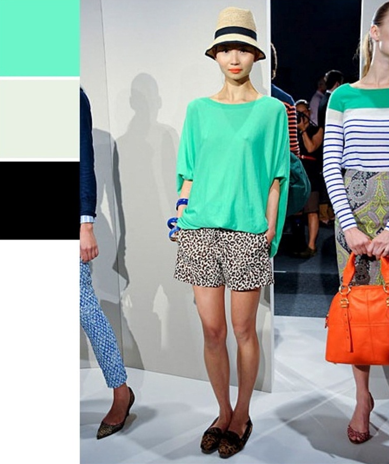 To avoid looking like a clown, select one can’t-miss color (in this case, sea foam), as the focal point of your ensemble. For additional splashes of color, accompany it with equally bright-colored shoes and accessories. Got color? While this striped dress from Mulberry’s spring collection may remind you of Fruit Stripe gum, it also manages to successfully combine three hues that are perfect for summer. The key to pulling off this look is by selecting colors that complement each other. If this dress consisted of neon green, bubblegum pink and pastel yellow, the result would have been an epic disaster! Steer clear of making a fashion faux pas by choosing colors that balance out sea foam green and appear unified when worn together. 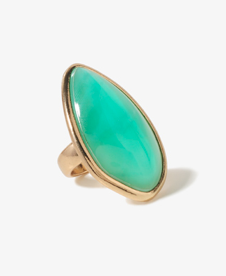 If you find sea foam green to be a bit intimidating, then a jagged stone statement ring, such as this one, from Forever 21 is perfect! 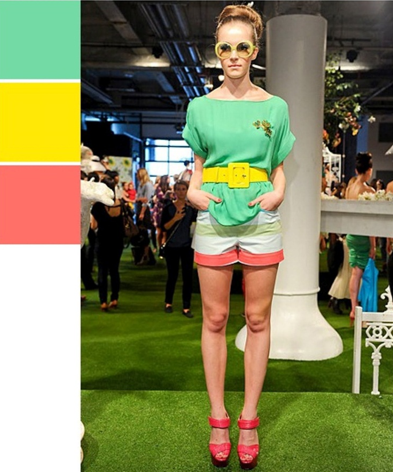 Instead of going sea foam green crazy, take the minimalist route and select one accessory in this trendsetting hue. Remember that a little pop of color goes a long way! Color block necklaces are the epitome of summer and will add oomph to any ensemble. 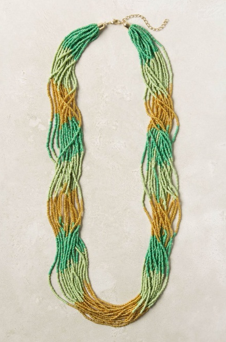 This necklace consists of beautiful glass beads in a spectrum of green hues, including sea foam green. It will look amazing with everything ranging from a white tee to a strapless lace dress. If you’re a classy girl who lives for her ultra-feminine tops, then say no more! 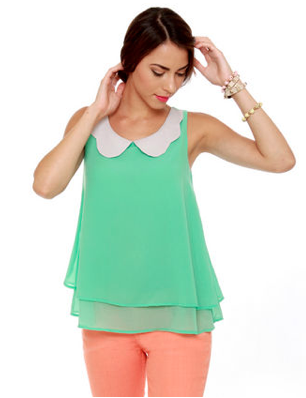 There’s nothing like sea foam green to update a classic Peter Pan collared chiffon top. Go bold by pairing it with coral jeans, or keep it simple with white shorts and black ballet flats. On the hottest days of the summer, you’ll need a tried-and-true, flowy cami to keep you cool, calm and looking chic. 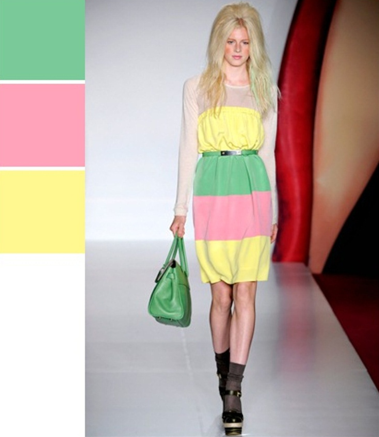 As exhibited in Mulberry’s spring 2012 runway show, sea foam green and yellow are the perfect color combo. Add in a white pleat skirt, a pair of white cropped pants or preppy white J.Crew-esque shorts and you’ll be more than prepared when the next heat wave comes your way! If you’re going to invest in only one sea foam green item this season, then make it this pair of skinny leg jeans by J Brand. It’s no secret that colored denim is currently all the rage. While mint green is a coveted hue to have in your wardrobe rotation, so is sea foam green! Wear it with a flirty off-white blouse in the summer and then make the transition into the fall by pairing it with a navy blue knit cardigan. See, you can’t lose! It may take a while to warm up to this vibrant color, but when you do you won’t be able to stop wearing it!